The writings of our Founder will equip the soldiers of today's Army for holy warfare. 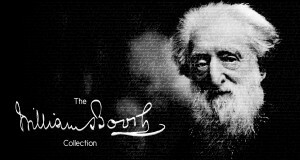 The William Booth Collection contains the letters and writings of the first General of The Salvation Army. Booth's words contain a boundless energy and passion for souls that will both convict and inspire.